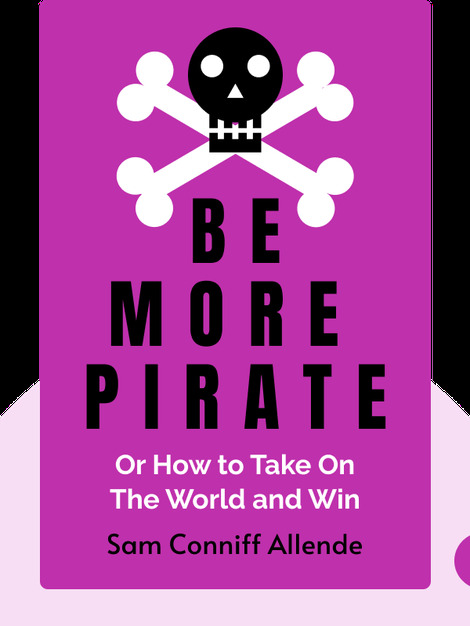 Be More Pirate (2018) reveals just how effective and forward thinking the pirates at the turn of the eighteenth century were. 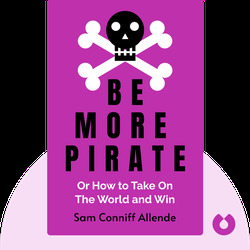 Using their methods and rebellious principles as inspiration, Sam Conniff Allende shows how you can harness powerful, revolutionary forces to fix unjust rules while inspiring and empowering a like-minded crew. These are the same methods that modern-day pirates from Elon Musk to Malala Yousafzai have used in their radical and progressive work. Sam Conniff Allende is the former CEO of Livity, an international youth-led creative network with clients that included PlayStation and Google. He is now a sought-after strategy consultant and public speaker. He’s worked with Unilever and Red Bull, and he continues to mentor and empower young entrepreneurs, helping them turn their dreams into reality.